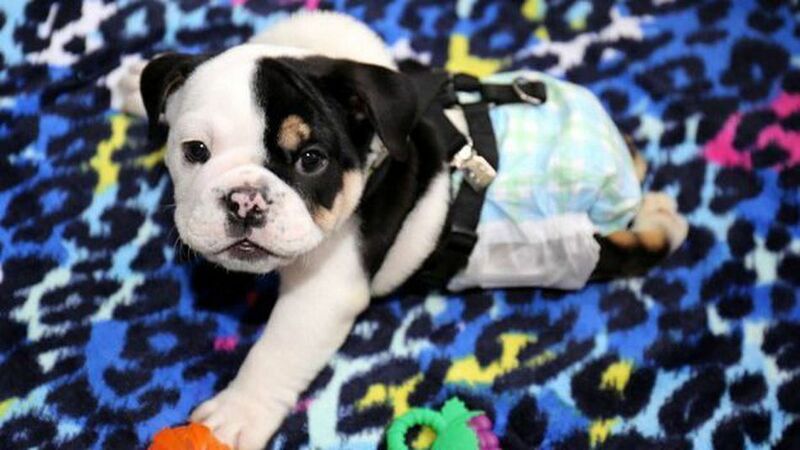 Despite having only half a body, ‘Bonsai’, an English bulldog, still manages to radiate positive energy that encourages several concerned individuals and groups to help him out in any way possible. On June 25th, Bonsai underwent a bilateral amputation. The operation was successful, and he is reported to be well on his way to full recovery. However, the plea for financial assistance still stands in order to address his need for proper caring. Fortunately, the cry for help apparently landed on generous ears. To date, more than $13,000 has been raised for Bonsai’s cause. With the overwhelming support that Bonsai is receiving, a separate Facebook page, “Bonsai – Half A Bulldog, Twice The Love”, has been set up for updates on his progress. A video of him playing with his toys was also uploaded via Youtube. With more than 600,000 views as of posting, he has surely captivated the social media community with his adorable charm.